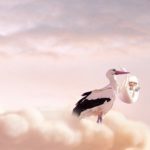 A friend sent me an amazing video on the over two-decade long relationship between Malena, the stork who couldn’t fly, and a man, Stjepan Vekic, who had found her shot but alive. He cared for her, building her winter and summer homes. His devotion to her safety formed this bond as her protector. After watching the video below, I wanted to share a bit of research I conducted into these fascinating creatures. 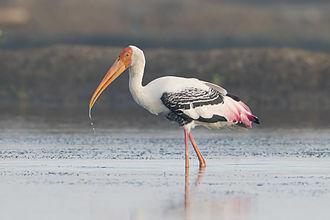 Storks are large, long-legged, long-necked wading birds with long stout bills. Adults can weigh up to 18 pounds and have a wing span in some of the 19 species of up to 10 feet. As a land bird this is on par with a condor. They use soaring and gliding as a flight method which also conserves energy, essential during migrations. They belong to the bird family called Ciconiidae, and make up the order Ciconiiformes. Ciconiiformes previously included a number of other families, such as herons and ibises, but those families have been moved to other orders. Storks dwell in many regions and tend to live in drier habitats and lack the powder down other bird families like herons use to clean off fish slime. This attribute is important when dining on their preferred frogs, fish, insects, earthworms, smaller birds, and small mammals. What I found interesting is their size, serial monogamy, and faithfulness to an established nesting site contribute to their prominence in mythology and culture. Nests are reused and grow in size over the years, some of those tracked have shown amazing growth in depth and width. In my youth storks were often conveyed as the carriers/delivery methods of babies. This legend is very ancient, but had some help into becoming more of a modern myth. The famed 19th-century Hans Christian Andersen story, The Storks charmed readers all over the world. German folklore held that storks found babies in caves or marshes and brought them to households in a basket on their backs or held in their beaks. These caves contained adebarsteine or “stork stones” which was the foundation of this folklore. Sadly, storks have been hunted for sport as well as competition. Their migration paths are always subject to a hunter’s gun. The safe migration of these majestic birds is celebrated in many parts of the world today as noted in the video. 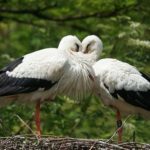 Whether it is the storytelling, the folklore, or simply the amazing celebration of the species, I suspect storks will never be forgotten. I will always recall fondly how this bird and this man helped one another live with such peace, let alone mutual respect.